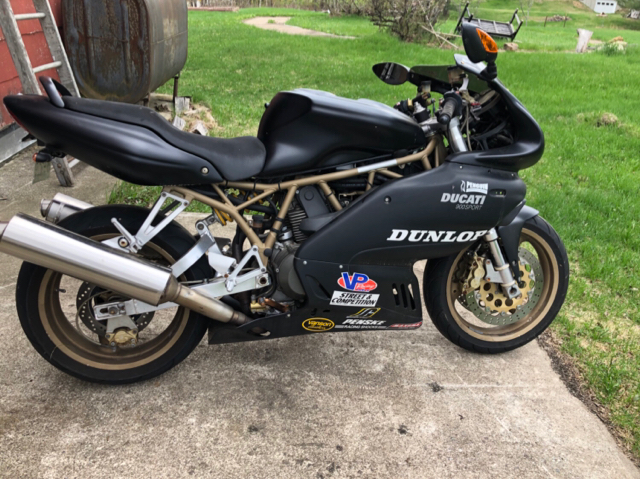 1999 Ducati Supersport. Project. Needs a service and I believe a fuel pump. Bodywork is nice with zero gravity smoked screen. It was a penguin bike (no need for comments ..) and the sold and out on the road. It sat for awhile and I acquired it to help the guy get out of it when he found out the cost to repair. Going to part it out on eBay but thought I would try here first. True Mileage Unknown - gauges say less than 1000 but it has (much) more. Last edited by Scottg22; 09-11-18 at 07:58 PM. Sorry just saw the post with it under the pictures..
Last edited by MUZ720; 09-02-18 at 08:08 AM. Drat! 37 minutes too late. Last edited by Scottg22; 09-02-18 at 12:00 PM. Is it weird that I really want this bike? Not weird at all, I want it too! 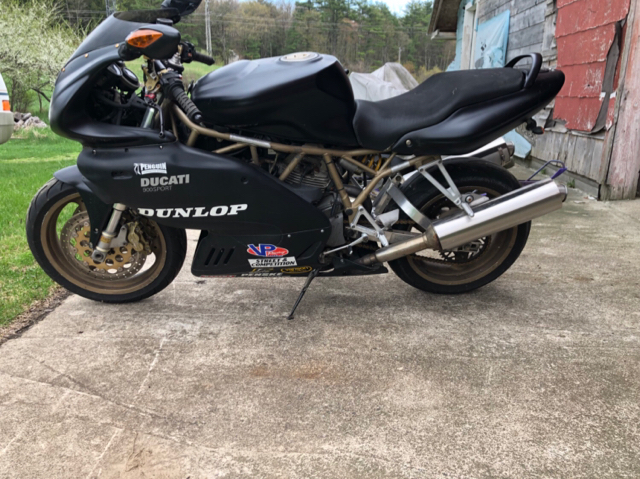 It's just that I should really sell my SV before pulling the trigger... if I want to stay married, that is. This is killing me! Would love to have another, such a good deal. My problem is too many projects already that aren't being worked on. That’s my problem too Sam! 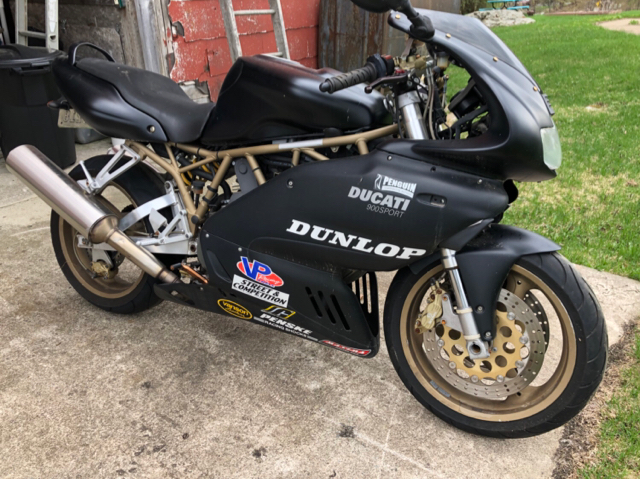 I really just need the space vs another Ducati ! I can't believe it hasn't sold. It's ridiculously clean for $750 bike. The black is so sharp with the gold frame, too. What part of NH is the bike located in? I keep coming back to this damn bike. Someone buy it so I don't have to, I have no more room! As Scott already knows, my CFO has denied the request for funding for the reason of "a winter project is not what I had in mind." That said, after talking with Scott and understanding more about this bike, this is certainly not a project to be afraid of, IMO. So, is this a good first bike? Absolutely. Fuel pump (do a filter too) is common with our sugar fuel these days... regardless of brand. Belts and service on an SS is a relative breeze. Seek help if you think it needs valves, etc. 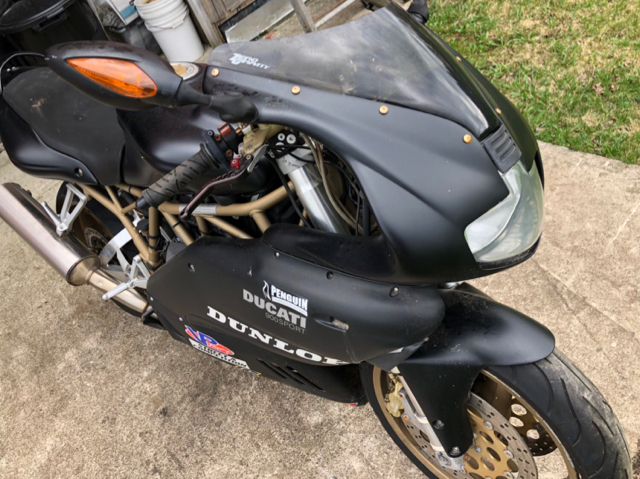 Can't get much simpler than an air cooled 2V Duc. I meant more from a learning to ride perspective than from the fixing it perspective, but that's really good to know thanks. Ah, well they've got tons of torque but not intimidating power at all. Sort of similar to an SV650. Definitely a fine learner bike for track use. Page generated in 0.148 seconds with 16 queries.